When you’re in complete agreement with one of the world’s most respected newspapers, you’re in pretty good company. Now, our friends, guests and loyal Chaa Creek Belize Travel Blog readers will understand our excitement – as Belize’s premier family owned and operated eco-resort, and considered by many as the home of cultural tourism in Belize, we’re delighted to see that a New York Times writer shares our philosophy that family vacations can be more than just a relaxing distraction. We were also pleased to see that NYT readers could easily tick off all five suggestions right here at Chaa Creek. So, without further ado, on to the Five Tips! While the article has some very good suggestions, Chaa Creek makes it easier for travellers by taking the “Seek” out of the equation with a full menu of tours, excursions and onsite activities designed to introduce guests, young, old and in-between, to local arts and crafts. 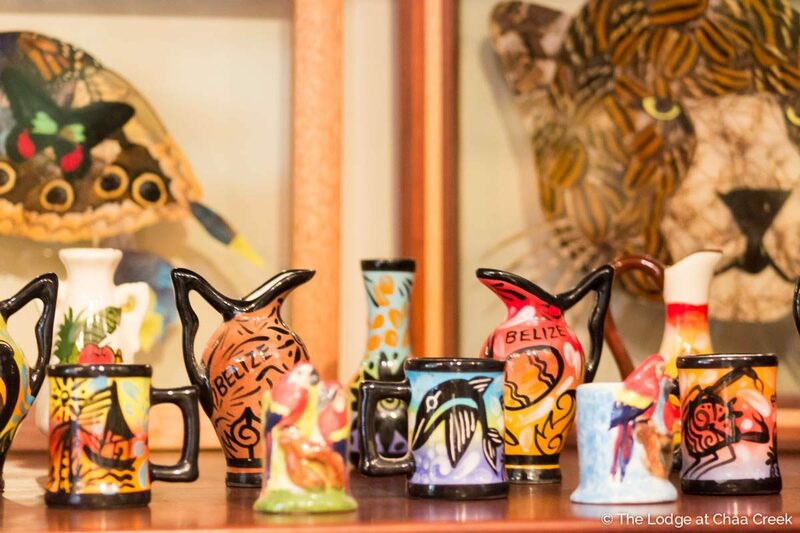 We offer a wide range of tours, excursions and activities designed to introduce visitors to the works of Belizean artists and craftspeople. Our Belize Cultural Grand Tour immerses visitors in the arts and crafts of Maya, Mestizo, Creole, Garifuna, Mennonite and other communities during a countrywide tour that leaves people with a deeper understanding of how Belize’s various ethnic groups preserve and express their culture though arts, crafts, songs and performance. During a visit to the Garifuna village of Hopkins, for example, visitors can learn about the centuries-old craft of drum making. With its roots in Africa, Garifuna drums are made using carefully selected trees, deerskin and other hides to produce beats passed down over generations. Closer to Chaa Creek, Maya stone carvers from villages such as Succotz can be seen at work while displaying wares adorned with designs and motifs from the ancient Maya classic period. We can also organise visits to the galleries of San Ignacio Town, and are happy to help visitors contact local artists to arrange individual viewings and sessions. This is another tip we have covered. 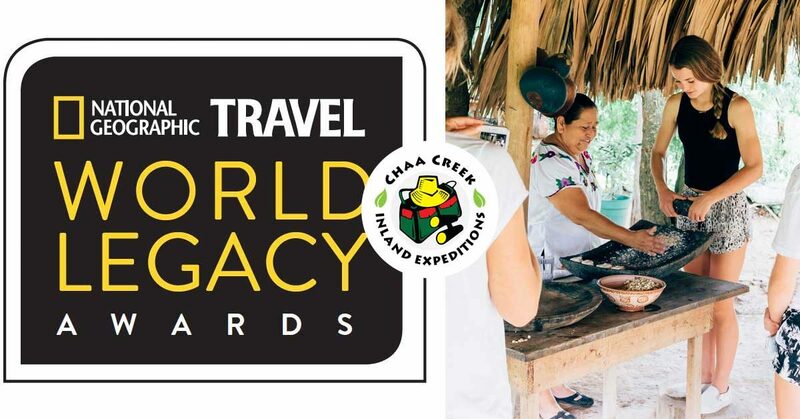 Chaa Creek’s village visits have been taking families to local communities for hands-on instruction in making traditional Maya corn tortillas – from grinding corn on a stone metate to the delicious final product. And you’ll never look at Taco Bell the same way after tasting a fresh corn tortilla hot off a comal heated over a wood fire. Further combining culture and cuisine, your family can learn about the importance of cacao to Maya culture while seeing how chocolate is made at the Maya chocolate factory, visit a pastoral Mennonite community to watch (and of course sample) ice cream being made, learn Garifuna cooking at a traditional seaside village, or ask our vacation planner specialists to introduce you to local cooks who may be happy to invite you into their kitchens. And… Teaser Alert! New for 2018, our own carpenters are currently busy building an onsite traditional Maya kitchen to give guests an intimate look into the intricacies of ancient and contemporary Maya cooking. Did you know that tamales were an ancient Maya staple long before Mexico was a glimmer in Cortez’ eye? And that the Maya feasted on (spicy) hot chocolate, turkey, pulled pork and other delicacies we enjoy today? And stay tuned for some new culinary adventures our vacation planners are cooking up. We’ll be sending you and the kids home full of great meals, memories and recipes. 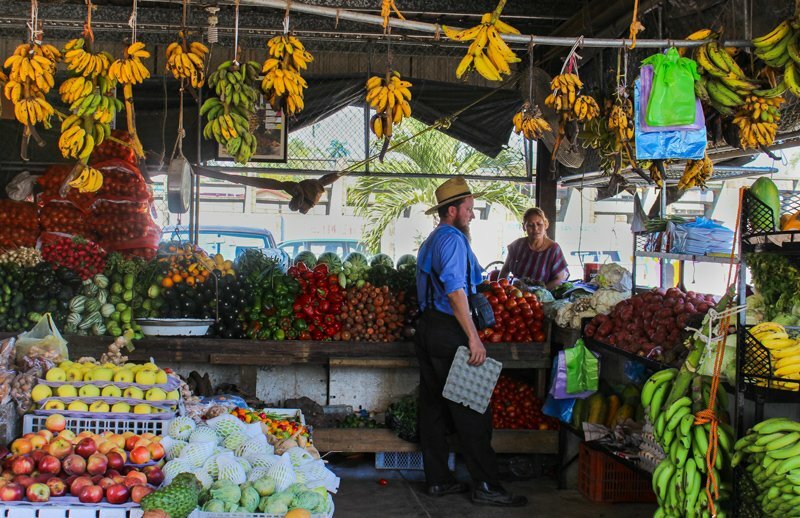 Oh, and Chaa Creek’s tour of the San Ignacio Market has been a multicultural “must do” for years. Canoe into town or hop one of our regular rides in, and you’ll quickly see why. If this tip interested you, you’re in luck! Perhaps nowhere in the world are music and dance held in as high esteem as in Belize. And if you’re in doubt, just have a look at the catalogue of Belize’s own recording company, Stonetree Records. Once again, Belize’s cultures come alive with Creole Brukdown, traditional Maya harp and marimba, Calypso, soulful Paranda, Garifuna drumming, get-up-and-dance Punta Rock, and other beats that have elevated Belize on the World Music scene across Europe and the planet. The Garifuna – whose history is one of the world’s most fascinating tales of survival and cultural integrity, express that history, as well as life events, stories and even village gossip through song and dance. 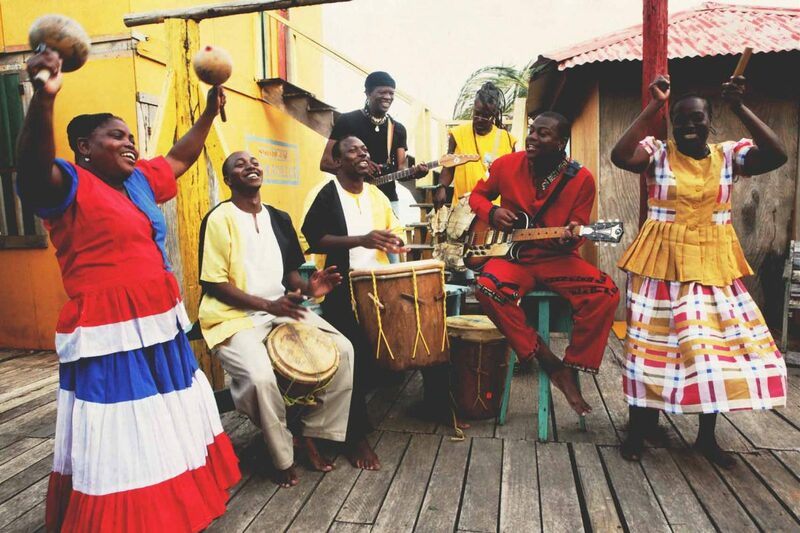 Groups like the Garifuna Collective have thrilled audiences across the world, and to see local artists perform on their home turf is a fascinating, richly rewarding experience for all ages. Here in Belize, entertainment, song and dance are definitely family affairs. Come join in the fun and you’ll see why. You won’t have to get out and go far to take advantage of this tip. Chaa Creek was recently honoured in Berlin by National Geographic with first place honours at their 2017 World Legacy Awards for “Engaging Communities,” and for years we’ve fostered interaction between our guests and local villages and communities. Grab a canoe and paddle downstream to the lovely, traditional village of Cristo Rey for an authentic taste of rural Belizean life. Or take one of our village tours that over the years have seen whole families learning to make tortillas and other dishes while spending time with local families. Maya village homestays in southern Belize represent another immersive cultural experience that we can help organise. And, again, there’s no better way than Chaa Creek’s Cultural Grand Tour to become immersed in local communities. You’ll not only see where people live, you’ll share their lives, stories, cultures, and cuisine while taking in the breathtaking beauty of Belize – from the inland jungles filled with ancient Maya temples to the sandy beaches by the Caribbean sea. Also, right at here home, you’ll quickly discover why one of Chaa Creek’s greatest assets is our people – many of whom come from local villages. Chaa Creek has always encouraged interaction between guests and our 160 staff members, and there’s no better way to get to know the real Belize than by just spending a few days hanging out and chatting. We think it’s safe to say that The Lodge at Chaa Creek is “a culture-rich children’s program”. 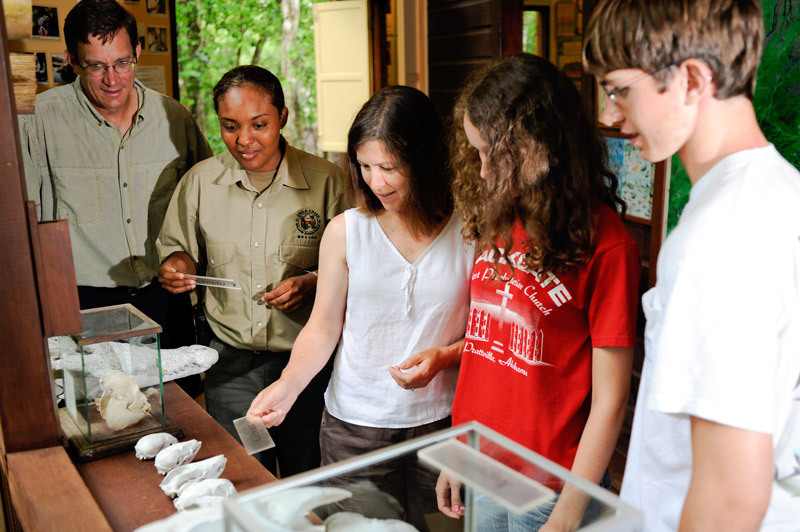 With the onsite Belize Natural History museum, Butterfly Farm, morning bird watching and identification, the “Creatures of the Night” nocturnal nature walk, and a wealth of activities, our young guests are never bored. In addition, our team of ever helpful, friendly licenced naturalist guides are always on hand to lead young guests on a variety of healthy, educational activities. For example, a visit to the onsite traditional Maya organic farm that supplies Chaa Creek’s farm-to-table menu connects youngsters with local Maya culture and history while giving them a hands-on understanding of where food comes from. Whether with the entire family or just with our guides, kids and teens are always fascinated to see how Chaa Creek uses recycling and traditional farming methods to grow produce while free-range chickens and sheep forage around. The kids are encouraged to help harvest herbs and produce, and we never tire of watching their expressions as they point out the fruits of their labours on the family’s dinner plates that evening. Family-friendly activities like swimming in the infinity pool, canoeing or tubing down the tranquil Macal River, horseback and pony rides, exploring ancient Maya ruins or just walking together through manicured tropical gardens or along some of the secure trails crisscrossing Chaa Creek’s 400-acre private nature reserve create bonds and memories you’ll all cherish forever. And with board games and other rainy day activities available, kids and families have fun no matter what the weather is doing. Of course, sometimes adults deserve a bit of quality time together, and the Jungle Lounge is there to provide refreshment while the internationally recognised Hilltop Spa offers a range of massages and professional treatments – including couples’ massages – to reward yourselves for a vacation job well done. And, with guests under the age of 17 who share their parent’s room staying for free, and those under the ages of 12 enjoying half price meals (no charge for young diners under three), becoming culturally rich won’t make you poor. If expanding your family’s cultural horizons while enjoying an eco-luxe Belizean vacation sounds appealing, we invite you to visit the Chaa Creek website, have a look around, and contact us directly or speak with your favourite travel agent to discover how easy it is to create the cultural adventure of a lifetime. European & British Tourists Are Flocking to Belize In Greater Numbers! Belize – The Little Country That Continues To Reveal Big Surprises!